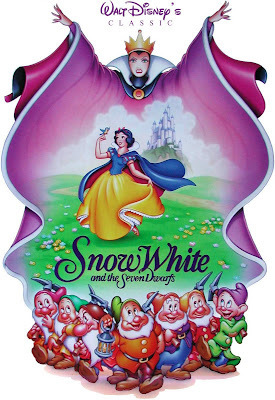 At the Carthay Circle Theater, Walt Disney premiered his new animated feature: "Snow White and the Seven Dwarfs". Nothing like it had ever been attempted before. The film was a box office and critical hit. The film made so much money for Walt that he used a good deal of it to purchase a plot of land in Burbank to build a new, larger studio than the one he occupied at 2719 Hyperion. The world we live in today has many, many animated films and people sometimes take it for granted, but back in 1937 it was a bold risk to take. The other studios had thought Walt was crazy and labeled his idea of turning his shorts into a full length motion picture "Disney's Folly". History shows how visionary Walter Elias Disney was. Now, if you'll excuse me, I have to go put a certain film in my DVD player. I've left my HD Television waiting and it's calling me. I think this movie will go perfectly with this big soda and freshly popped bag of buttered popcorn I'm holding. Blue Sky Disney is brilliant. I am very impressed. Thank you for all your insight!